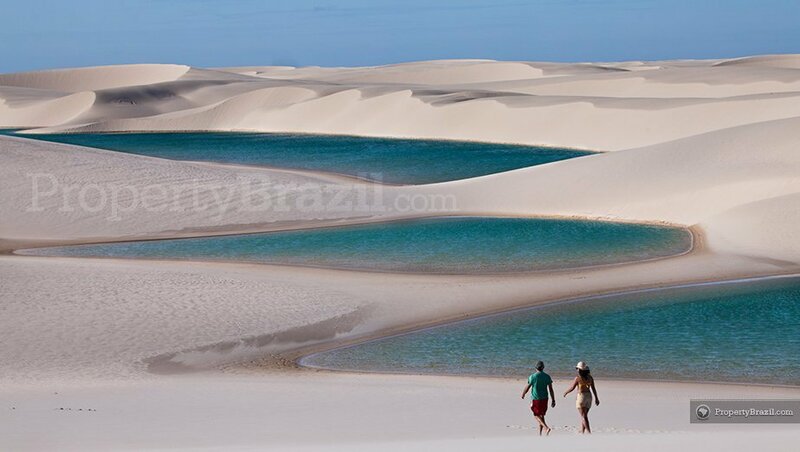 Located in northeastern Brazil, Maranhão is a fascinating state with a rich history and beautiful nature. State capital São Luis is a Unesco cultural world heritage site with hundreds of beautiful historical buildings and is also one of the three state capitals in Brazil that is located on an island. 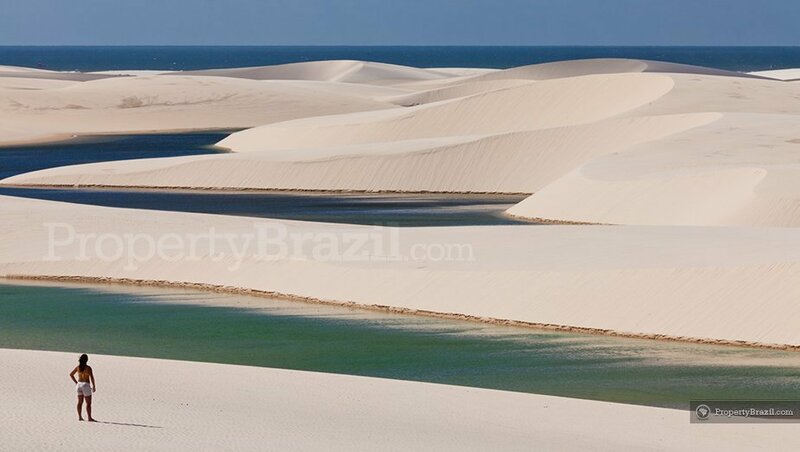 The most famous natural wonder on the 640 km Maranhão coastline is the national park of Lençóis Maranhenses which is sometimes called the “Brazilian Sahara”. Sāo Luis is the country’s only state capital that was founded by the French and is also one of the three state capitals in the country that enjoys an island location. The historical center with its narrow and charming cobble-stoned streets lined with museums and galleries, offers hundreds of impressive historical buildings that today are declared a UNESCO World Heritage Site. What might surprise many tourists is that the sound of Reggae comes out from many corners throughout the city. Many domestic reggae bands are from São Luis and the city is sometimes called the “Brazilian Reggae capital” or even the “Brazilian Jamaica”. With hundreds of historical mansions, Alcantâra at 53 km from Sāo Luis, is another world heritage site and is well worth a visit. During the month of June, the fantastic folkloric “Bumba Meu Boi” festival is held in Maranhão offering visitors with a Carnival like atmosphere. 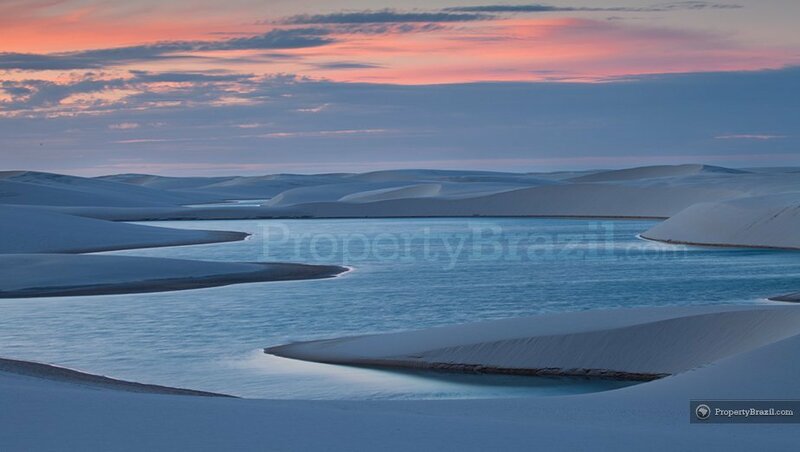 The national park Lençóis Maranhenses is the biggest desert in Brazil. Despite sometimes being called the “Brazilian Sahara”, this is where the similarities to a normal desert end. 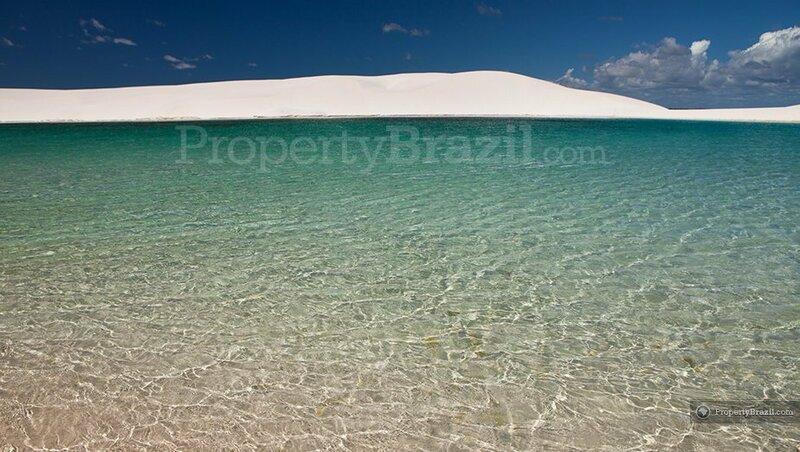 Lençóis Maranhenses sees 300 times more rain than Sahara and during the rainy season, big turquoise colored fresh water lagoons form between the sand dunes that reach heights of up to 40 meters. 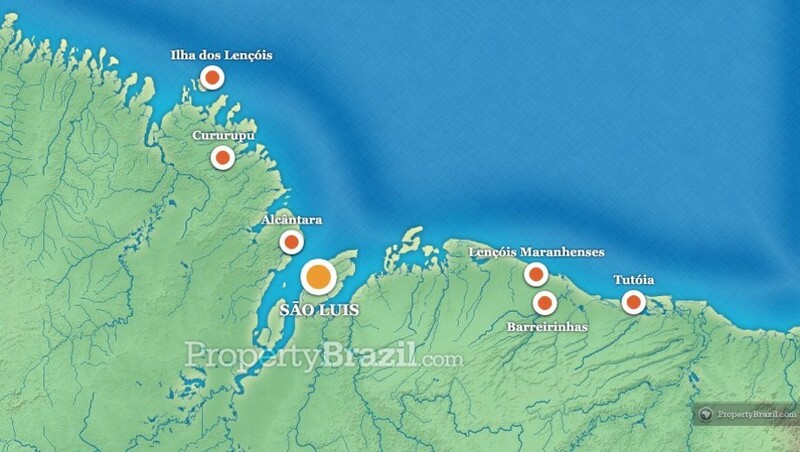 Starting from the Atlantic Ocean and spreading inland for miles, this natural wonder in Maranhão is located 260 km from the state capital and occupies an area of 155 000 hectares. The natural beauty of this unique desert is truly amazing and visitors who have visited say it feels like being on a different planet. Even the Bollywood film industry used this stunning area as the setting when filming their successful Indian movie “Endhiran”. The film director was looking for truly unique and spectacular settings and Lençóis Maranhenses and Machu Picchu were finally the chosen locations. The rainy season is from January to end of June and during this time the big lagoons are formed. The dry season is from August to December and at the end of the dry period many of the lagoons dry up completely. 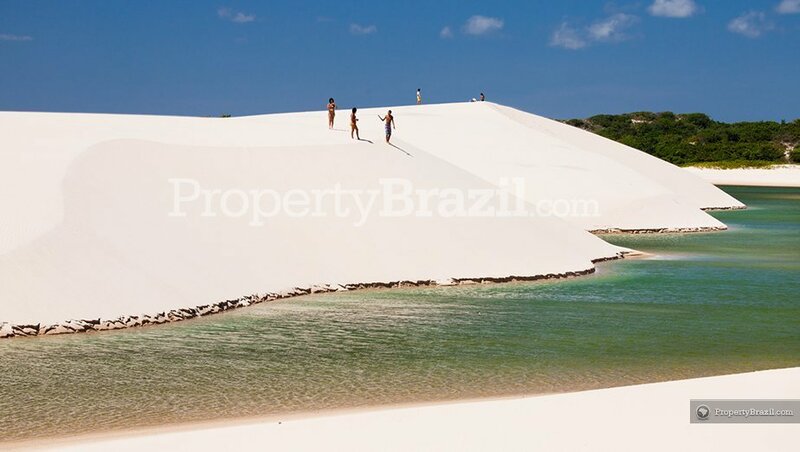 Best time to visit Lençóis Maranhenses is when the lagoons are full just after the rainy season has ended. A fascinating thing is that there is fish in the lagoons despite the fact that at the end of the dry season many lagoons dry up. This is possible as the fish lay their eggs under the sand before the water evaporates and they ultimately die as a result. Once the rainy season starts and the lagoons get filled with water again, the new fish is born. Some say that this is a prime example of surviving in difficult circumstances and is a true testimony to the Brazilian saying “dar um jeitinho”, i.e. finding a way to make something possible. 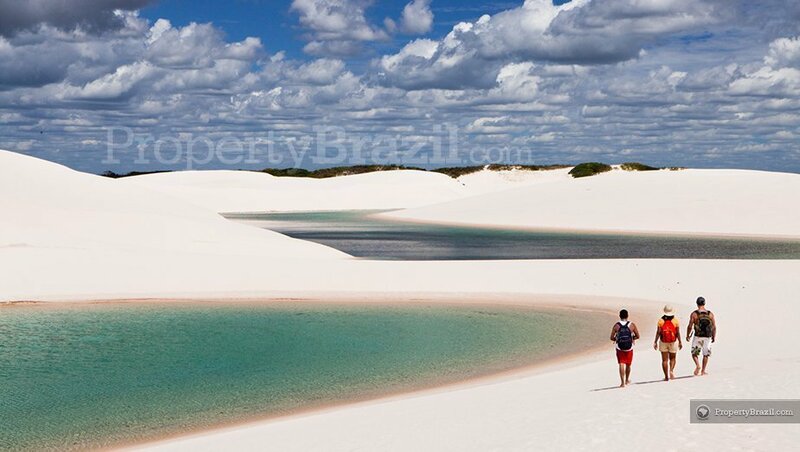 There are many organized tours available in São Luis for tourists interested in visiting this stunning attraction in Maranhão. The International Airport, Marechal Cunha Machado, is located 13 km from the center of São Luis. You can join the discussion in the community forum for learning more about traveling in this fascinating destination.